Retailer Bed Bath & Beyond Inc., under siege by dissident shareholders, is looking to cut costs this year by negotiating more favorable leases for its more than 1,000 stores and closing at least 40 of them, according to company officials. The closings would be partially offset by 15 store openings in 2019, officials at the Union, New Jersey-based company said during a recent conference call with investors to discuss financial results. The adjustments reflect a trend towards a smaller retail footprint. For example, in the fourth quarter last year Bed Bath & Beyond closed 21 stores and opened three new ones, said Robyn D’Elia, the company’s chief financial officer and treasurer. All told, the closings and openings represent a fraction of the retailer’s more than 1,500 physical outlets, which include not only Bed Bath & Beyond stores but also Christmas Tree Shops, Christmas Tree Shops andThat! or andThat!, Harmon, Harmon Face Values or Face Values, buybuy BABY and World Market, Cost Plus World Market or Cost Plus. The home-goods seller, stressing that it is pursuing better profitability rather than to spike revenue, reported net sales for the fiscal 2018 fourth quarter were about $3.3 billion, an 11% drop compared to the prior-year period, “primarily due to one less week in the quarter compared to 14 weeks in fiscal 2017 and a shift in the calendar, moving the post-Thanksgiving holiday sales week out of the fourth quarter.” Comparing the same calendar weeks in 2018 and 2017, net sales in the fourth quarter declined about 1.4%, according to the retailer. Under Chief Executive Steven Temares, Bed Bath & Beyond has struggled to compete against online outlets such as Amazon and retailers like Target, Walmart and HomeGoods, a battle that’s stunted its revenue and driven down its stock price. The chain has undertaken a multi-pronged “transformational” strategy to make a comeback, which includes reducing occupancy costs, testing “Next Generation Lab” experiential stores and cutting back on the use of the chain’s trademark “20% off” coupons. The retailer said those initiativeswill soon or are now starting to show results. But those efforts, and the fourth-quarter results, have not appeased activist shareholders who want to oust Temeres and Bed Bath & Beyond’s board and put in their own slate. Those activist funds — Legion Partners Holdings LLC, Macellum Advisors GP LLC and Ancora Advisors LLC — are mounting a proxy fight. 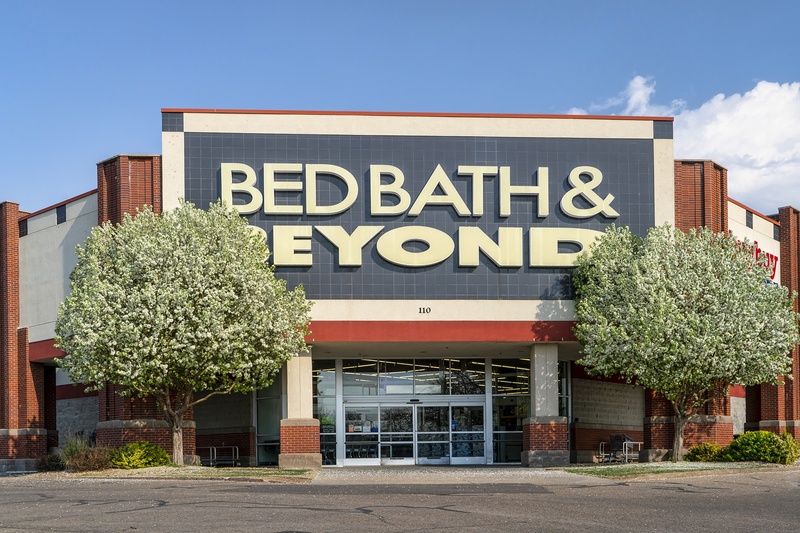 During the earnings call, Temares and D’Elia said Bed Bath & Beyond completed a comprehensive review of its leases, and talks are now taking place with landlords on lease re-negotiations. “The negotiations are progressing on plan and we expect a reduction in these occupancy dollars to occur in the back half of fiscal 2019,” D’Elia said. Later during the call, she warned the number of store closures could grow beyond 40 if negotiations don’t yield results. This year the retailer also expects to spend between $350 million and $375 million on capital improvements, with $50 million of that for investments in warehouses for e-commerce distribution. The activist investors issued a statement critical of Bed Bath & Beyond financial results. The activists also expressed concerned about plans to reduce the availability of coupons to improve profitability. “Our proprietary consumer survey work indicates this is a risky path to pursue … It does not make sense to make any couponing adjustments prior to executing on initiatives that would fundamentally improve the in-store experience for customers and drive retail traffic,” the activists said.